The rock duo Laura-Mary Carter and Steven Ansell from Brighton, or Blood Red Shoes, are known for their lively shows. With lots of swagger and show they wildly throw their music at the crowd. This isn't always really subtle, but it is effective. The duo does tend to spin out of control now and then. Their first two albums didn't really force a break through yet. They weren't able to write the big hits needed for that. Maybe it will happen with their third record 'In Time To Voices'. For this album they are going at it in a different way. They haven't put their wild years completely behind them, judging from a song like 'Je Me Perds', where the two go at it in a vicious way. But there is room for quieter moments now, where they are proving that they're able to dig deeper. Don't expect any honey sweet rock ballads, but songs like 'Two Dead Minutes' and the dark 'Night Light' do show a change in style. And that has been a wise choice. Continuing down the same road would have been a safe option, with a predictable end result. It might have pleased the loyal fans, but definitely wouldn't have made any new ones. With In Time To Voices they are showing guts and more maturity. According to themselves inspired by rock bands like Black Sabbath and Led Zeppelin, they are now exploring their more classic hardrock side. There's less full speed straightforward rushing, which gives the songs more air and develops more groove. And they are quite successful at it, like in the nice and heavy 'Down Here In The Dark'. It even gets poppy now and then and closing track '7 Years' reminds of Garbage. The needed big hits may as well be among them. 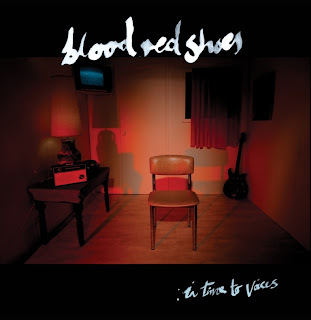 This third record by the Blood Red Shoes could be the turning point in their career. It has been a courageous step not to go down the easy road and that fortunately has turned out for the better. They lost some of their rashness which was replaced with maturity and patience. It turned into a varied album with interesting findings, that makes you look forward to future material of the duo. Hopefully they will be able to continue down this line. 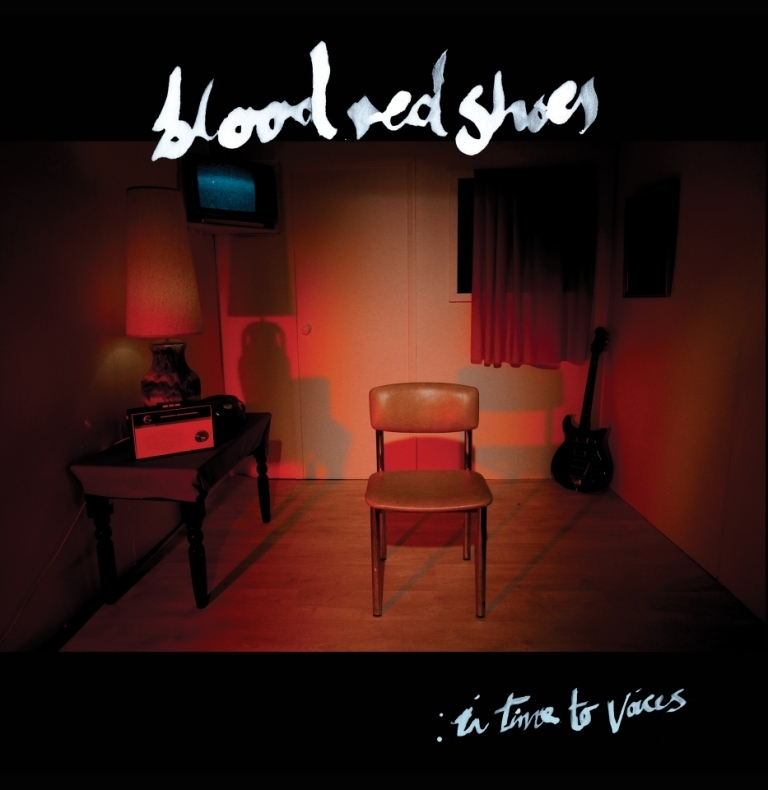 Listen to 'In Time To Voices' on Spotify.